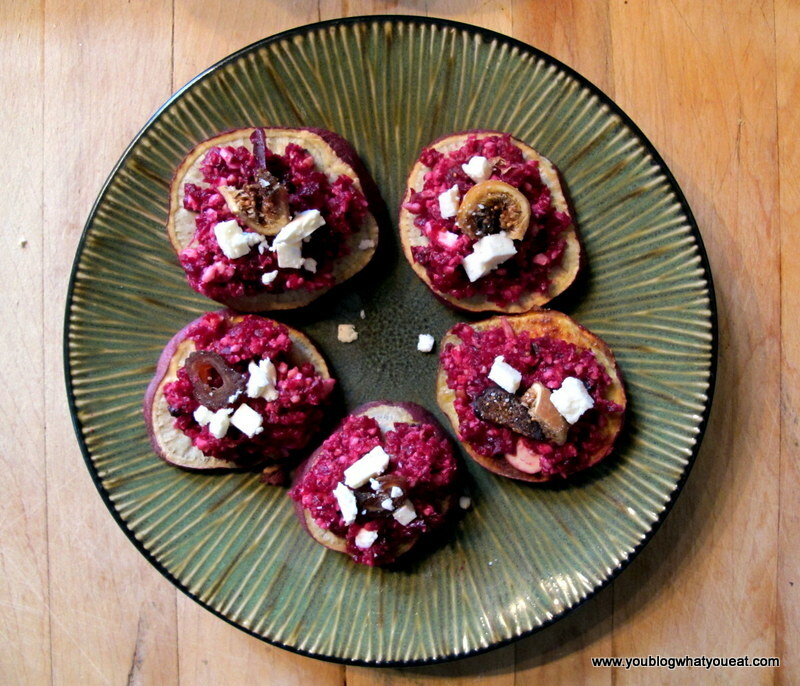 This recipe is great for a gluten-free vegetarian appetizer or party food. 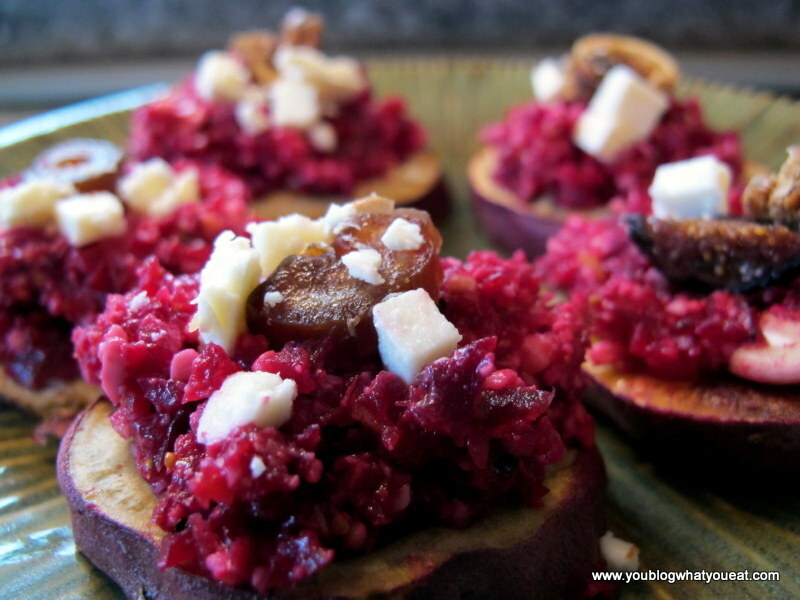 The sweet potato base replaces a cracker or piece of toast in a more traditional appetizer, and the combination of roasted beets, feta, figs or dates, and cashews adds a sweet and salty flavor that is great for the fall or winter season. Bake sweet potatoes on a lightly oiled cookie sheet (or oiled foil) in the oven for about 30-35 minutes, or until lightly browned on the bottom. You may wish to brush the tops with oil to brown them as well. 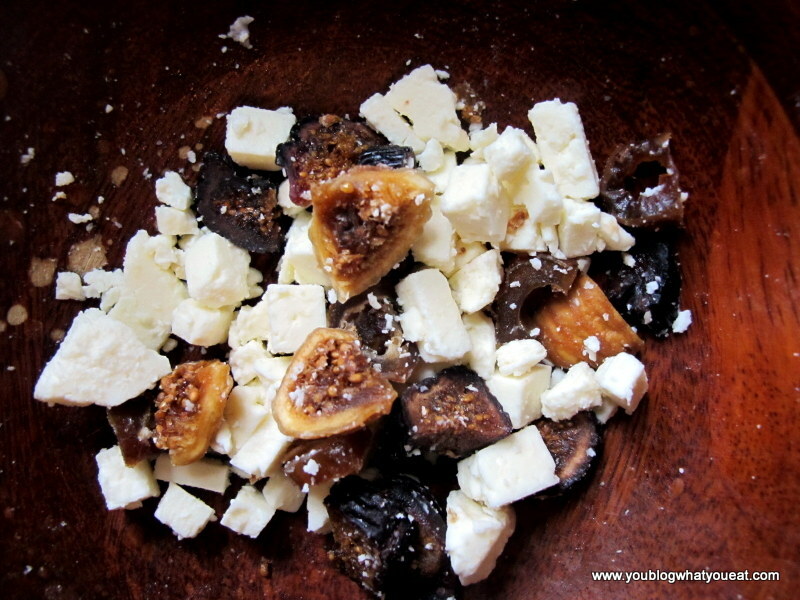 In a food processor, pulse the roasted beets, feta cheese, cashews or walnuts, and chopped dates or figs. I added a drizzle of maple syrup (honey would work, too) to moisten the mixture a bit. Reserve a little cheese and figs or dates to garnish. If you make extra, keep the beets/feta mixture separate from the potato slices. 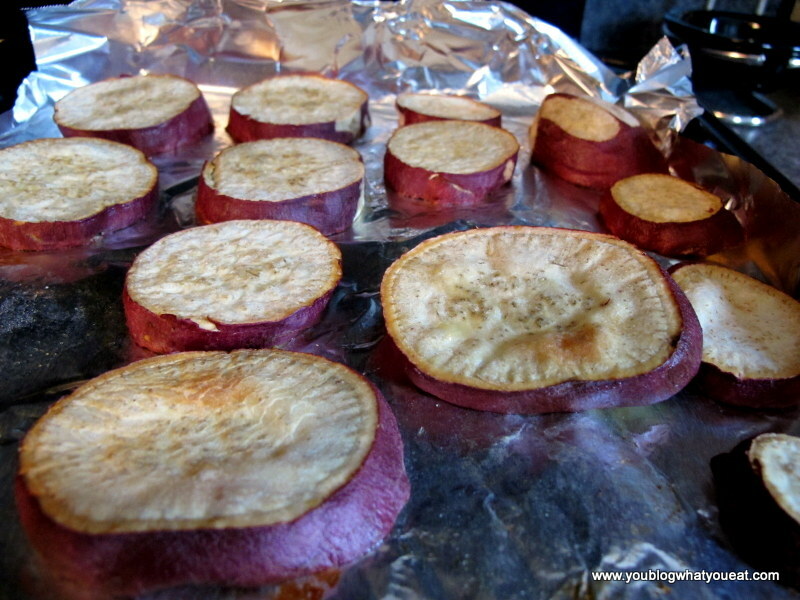 Heat potato slices in the toaster oven and warm the beet mixture for 15-20 seconds in the microwave and combine.